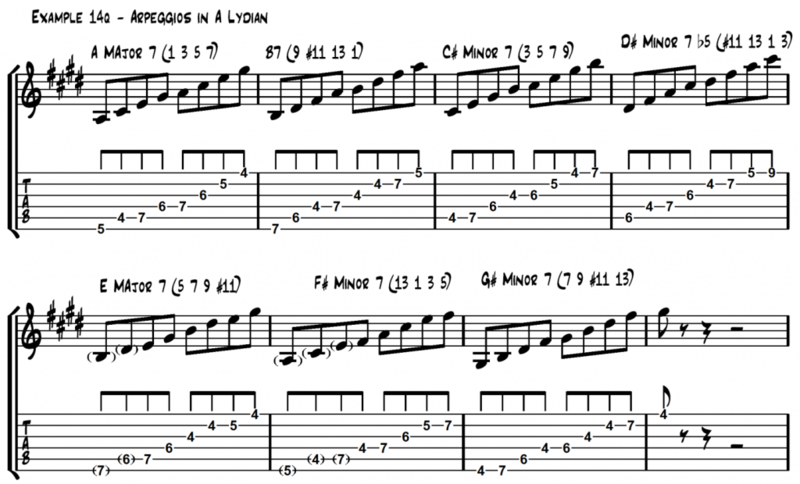 The final section in this series looks at how we can use arpeggios and substituted pentatonic scales to solo in new ways over the Lydian Mode. Make sure you’re up to speed from part 2 before attempting this lesson. These can be played in 2 octaves in the following manner. The lowest note in each shape is not always the root. Minor 7b5 on the #11th. (D#m7b5 over A Lydian) (#11, 13, 1, 3). Minor 7 on the 3rd (C# minor 7 over A Lydian) (3, 5, 7, 9). 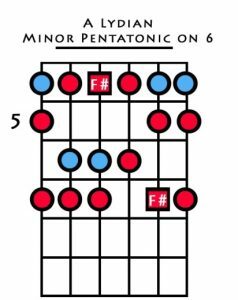 Intervals played against the root of Lydian: 3, 5, 13, 7, 9. Intervals played against the root of Lydian: 3, 7, 9, #11, 13. Intervals played against the root of Lydian: 1, 3, 5, 9, 13. 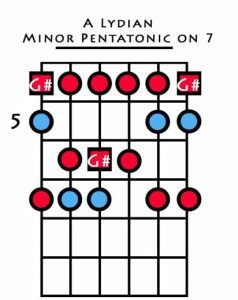 My first choice is to play the minor pentatonic on the 7th (G# minor pentatonic over A Lydian) ( 7, 9, 3, #11, 13). 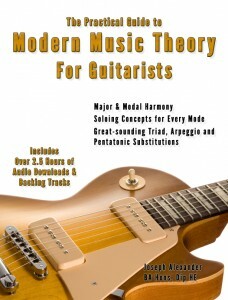 The full book is a complete and PRACTICAL music theory course for guitarists takes you on a journey starting from simple major scale construction, its 3 and 4 note harmonisations, and common chord sequences, to a massively deep and structured dissection of all the modes of the major scale.